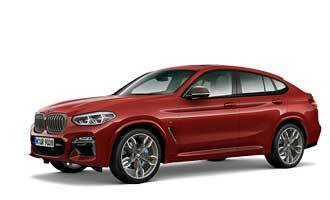 The new BMW 1 Series celebrated its world premiere a couple of days ago in Geneva. We’ve already driven it prior to the market launch. In the last 10 years almost two million customers came to understand the charm of the BMW 1 Series. Starting March 28th, 2015 it will be difficult for anyone to resist it even more. This is because the second-generation BMW 1 Series will arrive at the BMW partners with a hole new face. This is, which makes it perhaps the most beautiful 1 Series of all time. Both the front end and the tailpiece have a brand new shine. In addition to headlights and taillights, the aprons have been totally reworked and bring a new look to the entry in the world of BMW from every perspective. BMW also has taken a totally new direction under the hood, because for the first time a three-cylinder motor has been implemented. The particularly efficient engines are already known from the BMW 2 Series Active Tourer, but now for the first time they are mounted in the smaller 1 Series. The new motor is used in the BMW 116i and BMW 116d models, with the most efficient model is the BMW 116d EfficientDynamics Edition, with a CO2 production of precisely 89 grams per kilometer. Most motors up to now have been four-cylinder, and despite a small increase in performance, the consumption of many models have been reduced by up to 13 percent. The portfolio is crowned with the only six- cylinder engine in this class – the BMW M135i. All models instigate the back wheels as a standard, and when desired, certain variants can come with an all wheel drive, the BMW xDrive. Exactly as before, the weight is distributed almost perfectly between the front and the back axels. The steering, which is freed from the influences of the drive mechanism, makes direct contact with the road, and in combination with the rear wheel drive this ensures maximum driving pleasure. On the curvy roads in the shadows of the historical wind mills on the Portuguese Atlantic coast, the advantages of this concepts can be experienced: The BMW supplies the proverbial sheer driving pleasure to an excessive degree. Its desire for curves can be a cause for a downright addiction in a few places. It motivates to look for particularly curvy roads on the ConnectedDrive navigation, rather than the shortest path to the destination. The chassis suspension shows astounding comfort and takes most bumps without a grievance, however it is also sufficiently firm in a sporty driving style. The adaptive chassis, that is available for a surcharge, represents an optimal solution for almost every situation. With the driving experience button, not only the gas pedal characteristics and the switch characteristics can be adjusted, but also the hardness of the adaptive shocks – you may change it at the press of a button from comfortable to sporty. Those who would like to not go without a maximum of traction during snow or wet conditions, can take advantage of the intelligent all wheel drive called BMW xDrive. This sends the engine torque within a split second directly to the place where the most propulsion power can be implemented. Depending on the situation it can be sent 100 percent to the front or the back wheels, and in normal driving mode xDrive implements a typical BMW back heavy power distribution. A comfortable alternative to the manual six-speed transmission is offered for almost every motor. Where desired an eight speed automatic transmission is also available with rocker switches on the steering wheel. With the paddles on the steering wheel, manual gear changes provide assistance, but the clever automatic transmission makes such gear selection procedures never necessary. With the “Professional” navigational system on board, the transmission even considers the path ahead of the vehicle in the selection of the gear. For instance, before tight curves or intersections it shifts down or omits unnecessary shifts up between two curves that are directly following each other. However not only the transmission profits from the extensive connectivity of the new BMW 1 Series, but also the occupants. They can enjoy the countless advantages of the consistent internet connection in their vehicle. Among other things, a concierge service can be used for all types of questions – from the search for the next bakery to the hotel at the vacation spot. A friendly helper on the other end of the line is almost always able to find a fitting solution. With the help of various apps, countless smartphone functions can be connected with the car’s infotainment system. The optional online entertainment allows for access to a music database with no less than 22 million titles of different flavors. The many attractive options however also come with a small catch: Those who want to hold nothing back with their BMW 1 Series, in large steps, get further away from the base price. The prices for the revised compacts begin at 22,950 EUR for the 116i three door. After all, since the implementation of the improved specifications, automatic air conditioning, rain sensors, and the Radio Professional with a 6.5-inch display are all included at this price. Not only the new design and the advantages of the one of a kind rear wheel drive in the competitive field, count as reasons for the BMW 1 Series. 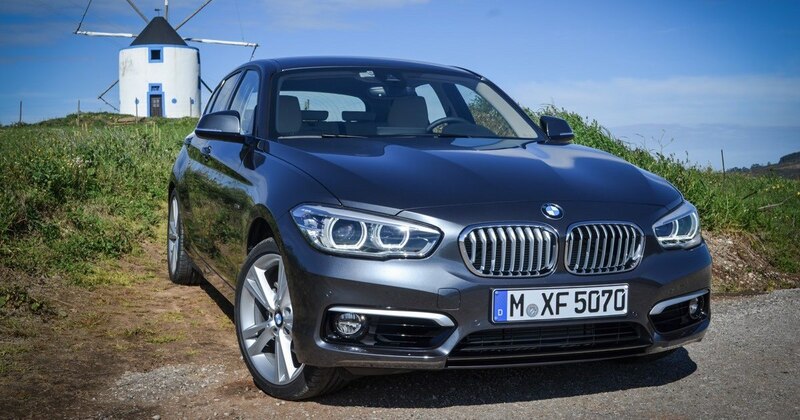 There are also the engines, which have become more efficient, and the further improved connectivity that makes the BMW 1 Series more attractive than ever.